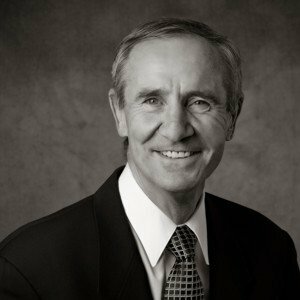 John Craig is a senior executive and trusted advisor providing management consulting to shape and execute business strategy in the civil engineering, construction, and transportation industries. Principal, John L. Craig Consulting, LLC 2015-present; Senior Vice President, Kirkham Michael Consulting Engineers 2015; Vice President, HDR and Director Fluor-HDR Joint Venture 2009-2015; Director (CEO), Nebraska Department of Roads (Transportation) 1999-2009; Commissioned Officer (LTC Retired), U.S. Army Corps of Engineers 1975-1998. Lead public and private sector teams on the award-winning multibillion-dollar, complex mega-programs in the U.S. and internationally, including joint ventures, joint and multinational operations. Pride myself on business transformation through strategic direction, team-building, coaching, client service, partnering, collaboration, as a turn-around agent, owner’s representative, thought leadership on current and next-generation investments, leading people and getting results. Collaborate with digital technology, business intelligence, and business analytics companies (start-ups and established) on winning business strategies in the changing mobility marketplace. Past board member of the Transportation Research Board Executive Committee National Academies, American Association of State Highway and Transportation Officials, Intelligent Transportation Society of America, Mid-America Transportation Center, Nebraska Transportation Center, Nebraska Rail Council; Fellow and past Post President, Society of American Military Engineers; invited speaker at a U.S. State Department-sponsored United States-India Forum on Intelligent Transportation Systems, Chennai, India. Awards include one of three global finalists for the 2015 Project Management Institute Project of the Year Award, one of eight finalists for the 2014 American Council of Engineering Companies Grand Conceptor Award (from 143 worldwide nominations) and one of two US nominees for the 2015 International Federation of Consulting Engineers Outstanding Project of the Year Award. Leadership is all about people – you lead people and manage things but it is all about people. My philosophy is to select the right people, set the right expectations, provide coaching along the way and recognize success. Through this process, it is important to set a clear direction with specific and measurable goals while providing flexibility to people in determining the means for accomplishment. One simple principle also applies – to get high standards, set high standards. As a leader everything you do either reinforces that high standard or, conversely, can lower it – the leader is the example. Leaders cannot delegate accountability. They are responsible for everything that does or does not occur within their organization. However, the leader should delegate responsibility and authority to get work done. The leader must also develop feedback loops to continuously determine what is or is not actually going on within their organization, industry, and society so that they can take steps for needed change and improve the efficiency and effectiveness of the team. These feedback loops must include frequent visits to staff, stakeholders and clients to build relationships and solicit what is going well, what is not and how the leader can help. This is the personal responsibility of all leaders and cannot be delegated. The leader must provide outreach to their constituencies, build relationships and collaborate in developing partnerships to accomplish broader strategies and goals with public and private entities, including at the international, national, state and local levels. In the end, my leadership philosophy is people-based and results-driven.